﻿ 10 Things to Do When Getting Started on Twitter » Red Mango Marketing! Getting started on Twitter doesn’t need to be scary. Follow this step-by-step guide to get started. 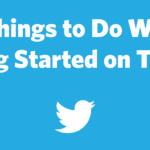 Here’s a list of the first 10 things you should do to get started on Twitter. 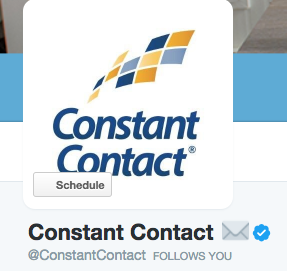 Hopefully, your business name will be available (Constant Contact’s handle for example is @ConstantContact), but if not, you’ll want to come up with something that will still make sense to your followers (for example In a Pickle Restaurant in Waltham had to use @InAPickleRest). You want your handle (@ConstantContact) to be around 10 – 15 characters so your customers can “mention” your business without using too many of the 140 they have to use. Twitter is widely recognized as one of the most open social networks, in that, most of the communication on the site takes place in front of people in the news stream (rather than on individual pages or groups). Keep in mind when creating your bio, more people will find you on Twitter that have no previous knowledge of who you are or what you do than on any other network. If you had just a few seconds (or in this case 160 characters) to explain your business to a complete stranger, what would you say? That will be your bio. 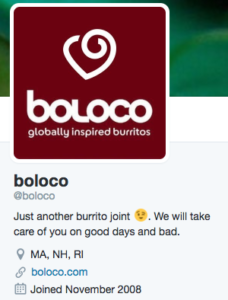 Boloco’s bio perfectly captures who they are in a fun, memorable way. 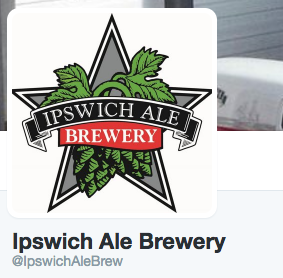 Mercury Brewing Company’s Ipswich Ale has gained national recognition and its logo is well known to people who love their beer. Some people may disagree with me here, but I think now is the perfect time to send your first tweet. It’s not going to be anything earth shattering, and you won’t have any followers (yet) to see it, but it will let people know you are a real person or business and not a robot or spammer. Make the tweet something simple; your introduction to the Twitter world. Who you follow on Twitter will dictate the type of content you have access to and the quality of the relationships you’re able to establish. For this reason, you’ll want to set up some criteria, based on your experience, your industry, and what you’re trying to accomplish. People you want to follow could include: friends, professionals in your industry, other local businesses, colleagues, and even current or potential customers. When you’re starting out, the key is to follow businesses, similar to yours that are doing it well—don’t mimic everything they tweet, but pay attention to how they are engaging and the type of content they share. 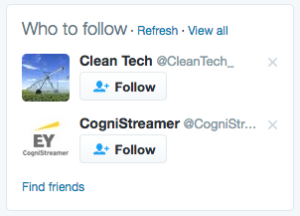 Keep your eye on Twitter’s “Who to Follow” feature (in the left column) for recommendations for people and businesses that fit your interests. Before we go any further, I need to tell you something you need to know: growing your following on Twitter is not easy—especially if you’re starting from scratch. However, lucky for you, your business already has a following and many of those people that shop at your business. If someone has already joined your email list, they most likely would love to connect with you on Twitter too. Send out an email to your contact list, inviting people to follow you on Twitter. It’s easy to do with Constant Contact’s email templates. Like anything else, if you want to be successful on Twitter you want to make sure you have the right tools. There are a number of tools out there including three you’ll want to have access to from day one. Twitter Lists are a cool feature provided by Twitter to let users organize the people they follow into specific groups based on industry, relationship, expertise, etc. When you’re first starting out, Lists won’t need to be a top priority because you’ll still be growing your community, but I do recommend creating at least one List to let yourself get accustomed to using them. It’s much easier to keep your contacts organized from the beginning than to try to organize them when you really need them. Similar to Lists, Saved Searches let users organize their content, but do it based on a specific topic rather than on specific users. Saved searches work exactly like they sound. You find a topic of interest or relevance to your business, search for it in Twitter’s “Discover” tab, and then save it for future reference. After saving it, you can easily go back and see results as they appear in real-time. A study found that 80.5% of small business websites do not link to social media networks. Please do not make this mistake. Connecting your website to your Twitter profile will help drive traffic and organically build your social following. You’ll also want to make sure you’re inserting a link into your email newsletter with a strong call-to-action. 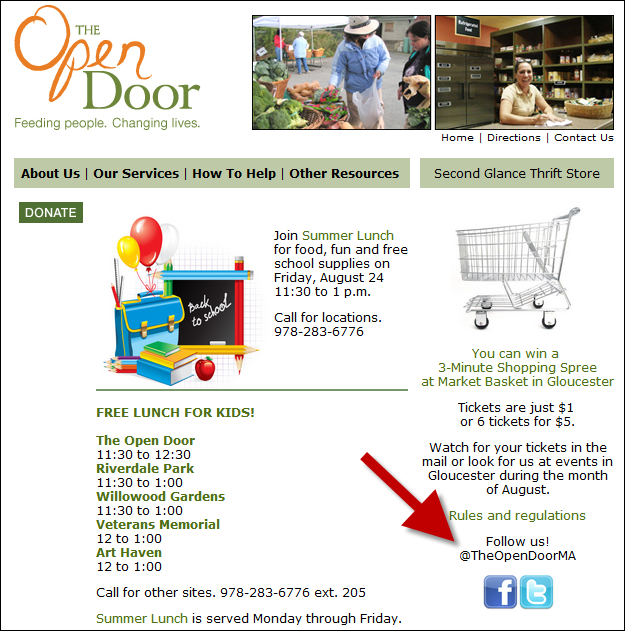 The Open Door uses a call-to-action and a link to the profile to help grow their following on Twitter. Don’t forget to have a plan! Let’s rewind quickly to the point when you first decided to sign up and log on to Twitter. What were you trying to accomplish? Were you looking to drive more business? Increase brand awareness? Establish yourself as an expert in your industry? Just being on Twitter won’t be enough to accomplish those goals—even if you follow these 10 steps to getting started. What will allow you to achieve those goals is having a social strategy about the way you plan to engage on Twitter, the type of content you want to share, and the milestones you hope to achieve. Your strategy probably will change once you get started, but without having one before you launch your first tweet, you won’t make it much further than these first 10 steps. Editor’s Note: This post was originally published in July 2012 and has been updated for relevancy and accuracy. The post 10 Things to Do When Getting Started on Twitter appeared first on Constant Contact Blogs. This entry was posted on Monday, September 25th, 2017 at 2:04 pm	and is filed under Featured, News & Updates, Social Media Marketing, Twitter. You can follow any responses to this entry through the RSS 2.0 feed. Both comments and pings are currently closed.